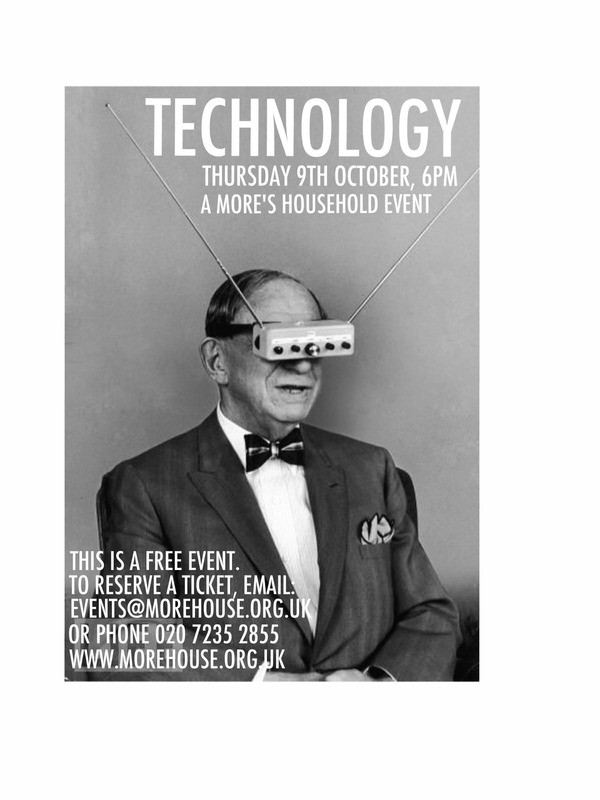 We are extremely pleased to invite you to this term’s More’s Household event, which will explore the past, present and future of Technology. The evening will begin at 6pm with a ‘Museum of Technology’ – an interactive exhibition showcasing developments in technology over the past 50 years. Radmila Topalovic from the Royal Observatory, Greenwich will be speaking on the topic of astrophysics and new technology for satellites and missions. This sounds a great event ~ shame I am not in London for that evening otherwise I would definitely attend.